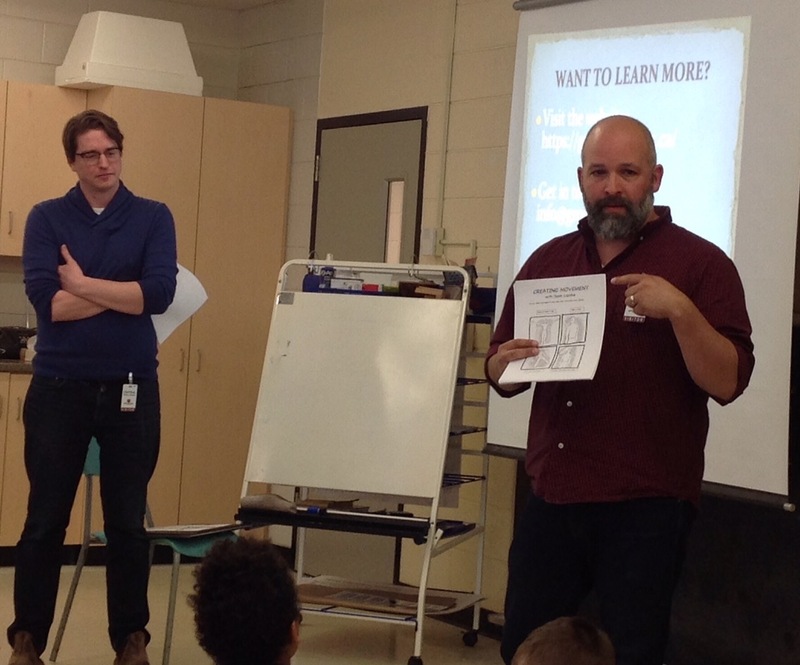 This past week we had the pleasure of visiting Central Public School in Guelph and talking to the Grade 5s and 6s about the comic. This was the first of what we hope are many school visits over the coming year as the comic is released and made available in full. We see the comic as a natural resource to help facilitate the introduction/exploration of Canadian history to/for younger audiences. This was clear as we walked the students through the seven characters. Everyone knew John McCrae (not surprising given his Guelph roots and the fact he attended Central as a boy) while Lester Pearson and Norman Bethune were virtual unknowns. 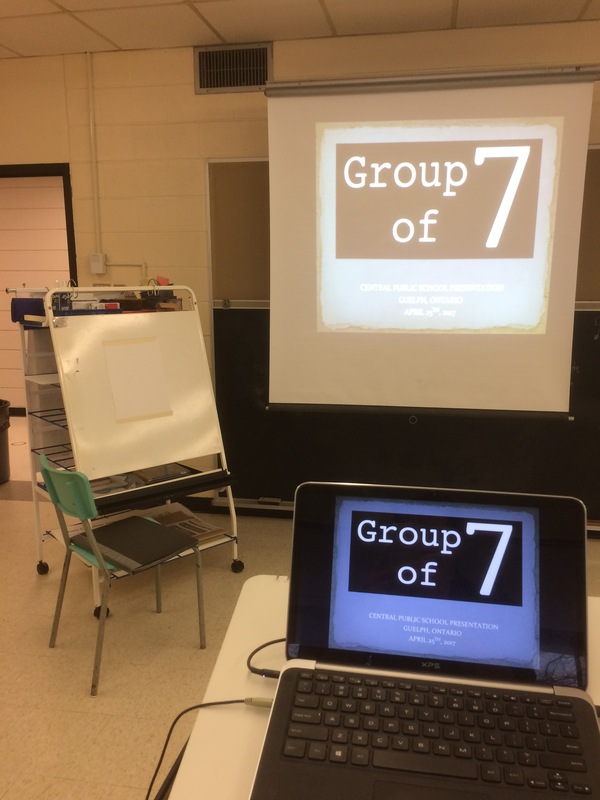 We were pleasantly surprised to discover more than a few knew about the actual Group of Seven as well as the First World War and Battle of Vimy Ridge. Over the course of an hour we also discussed Canada 150 and examined the types of objects and primary sources we leave behind (photos, correspondence, artwork, report cards, etc.) that help document our lives and can provide the inspiration for storytelling. 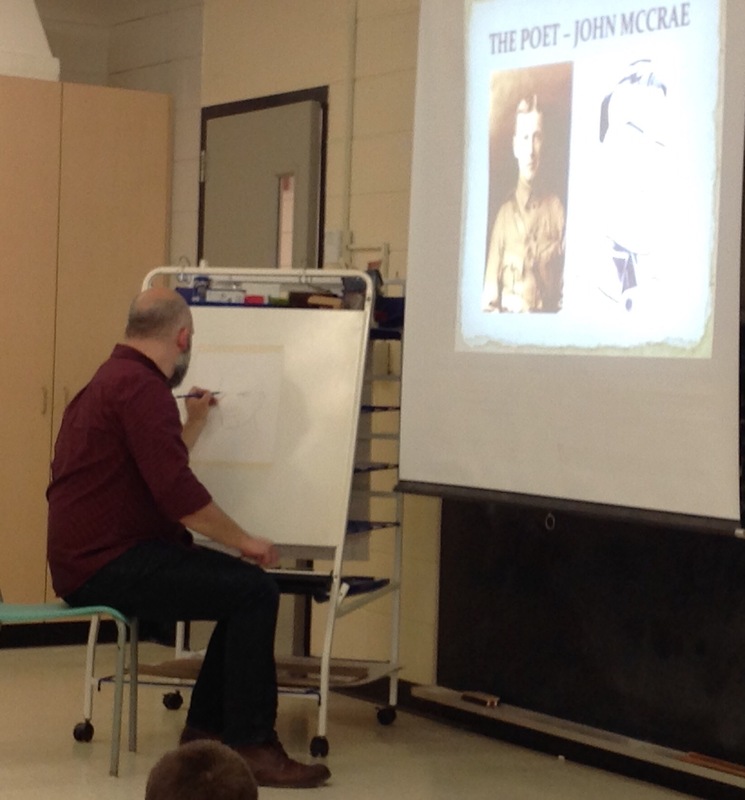 During the talk, Jason live drew an illustration of John McCrae, which we then left with the school as a gift. 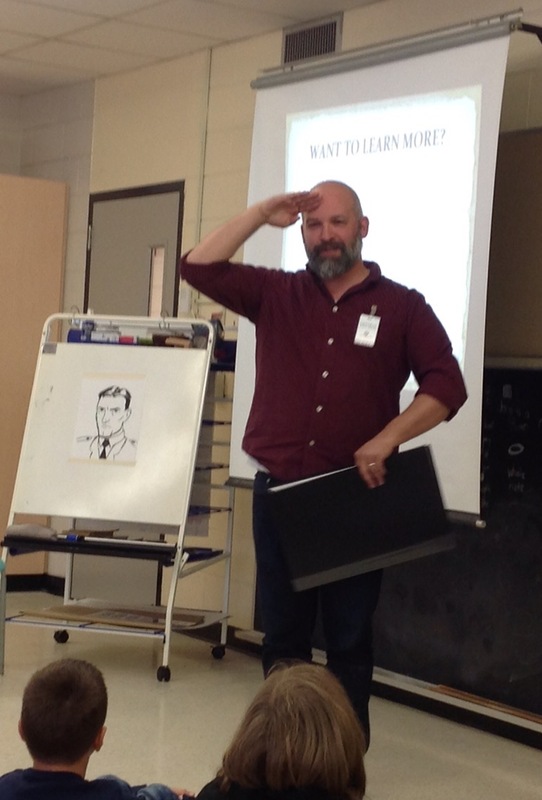 The highlight for the students was definitely Jason’s presentation of his illustrations and artistic process. 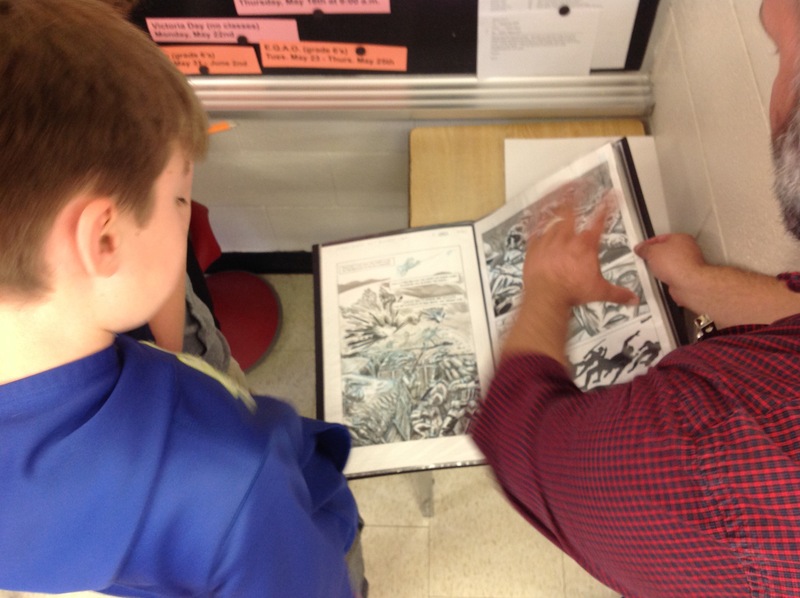 From sketch to ink to scanning, the students were very engaged. 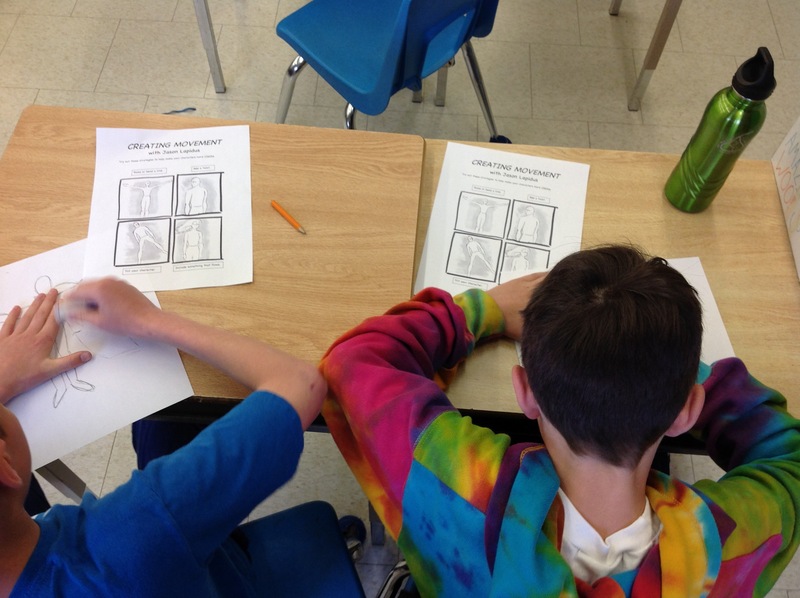 Jason also created a handout to help them add movement to their own drawings, which the students consumed back in their classrooms following the presentation. What we planned to be a one hour visit turned into two. A good sign. BONUS! 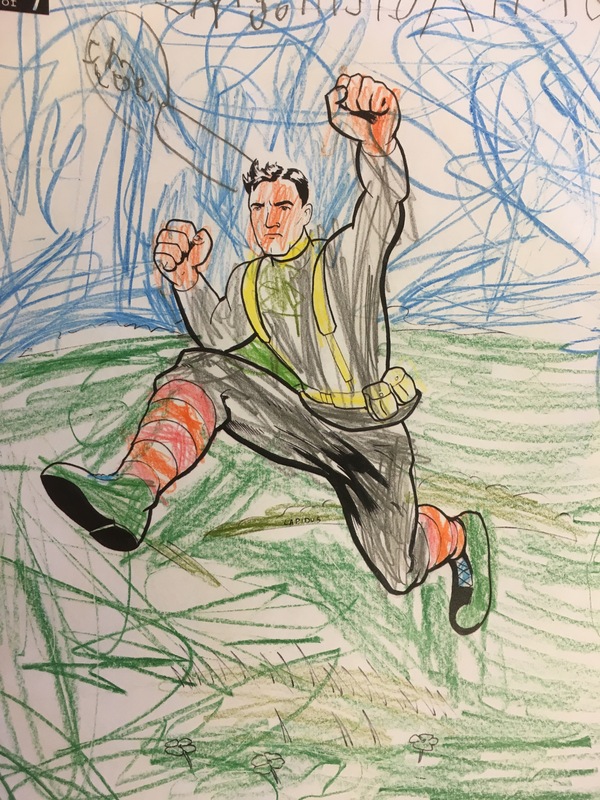 We visited the kindergarteners and had them colour John McCrae from a page that Jason created. Some added classic comic word bubbles to their pictures while others asked Jason to draw boats and trains. We all then read comics on the floor. Kindergarteners are awesome. Thanks to Kate Brennagh, Central’s teacher-librarian for inviting us and organizing the visit. Thanks also to teachers Mr. McPhie, Mr. Anderson, Miss Benham and Mrs. Storey for allowing us to spend time with your students. If you’re interested in having us talk about the comic at your school, please contact us. 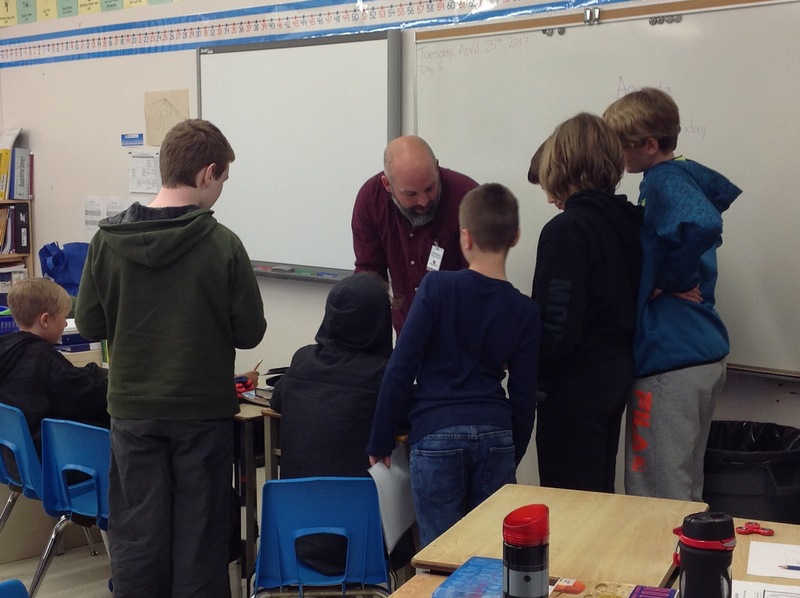 This entry was posted in Central Public School, Education, Elementary School, Guelph, School Visit, Workshop. Bookmark the permalink.